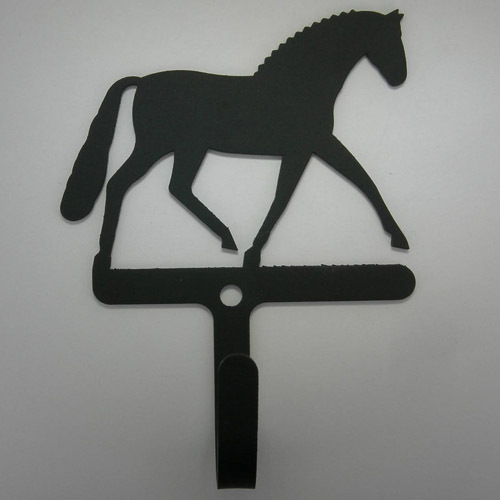 Desc: Wrought Iron Dressage Horse wall hook. The Dressage horse is trotting and has the mane braided for the show ring. The horse is dark brown and has a matte finish. This wall hook has one single hook and is strong enough to hold bridles and lead ropes and halters in tack lockers or hold purses or umbrellas or hats or coats in the home.